Well the title kind of says it all - what are some of the most common misconceptions against your belief system? I use belief system because it doesn't necessarily have to be a religion. If you're an athiest, what are some stereotypes against you? This topic is to address the most common misconceptions and hopefully clear them up. I've been seeing this come up a lot in discussion so I wanted to make a centralized topic for it! Go nuts, people! I'll start - these are the ones that I've heard and have been directed towards me. These are your PERSONAL experiences - what have you heard against your religion or belief system? All Christians don't believe in gay marriage. These are some of the most common one's I've experienced! Your turn! 1. All Jews have horns. 3. All Jews are going to hell..... I have been told this many time. 2. I guess there are a ton of misconceptions about all our laws and all the different sects. Of Judaism. People really don't know a lot about it. 3. People can't believe we don't celebrate Christmas, hollowed, ect. People are shocked when I tell them!!! ^The dress code, exactly. Ridiculous. Also Christians don't listen to Rock/Metal. Christians don't have tattoos, piercings. Apparently we are uneducated, unprogressive, we don't read books just the Bible. We think that God loves ONLY us. Pathetic, i can't believe people believe we think like this. Edited by Provehito In Altum, 13 September 2011 - 09:34 AM. The fruit of the "tree of Knowledge of Good and Evil" was an apple. All animals went in two by two to the ark. There were only "Three Kings". Bible text has been altered. Not only the dress code but Ned Flanders's personality and way of life is how we are seen. I think I break most of those stereotypes. ESPECIALLY THE FIRST ONE! 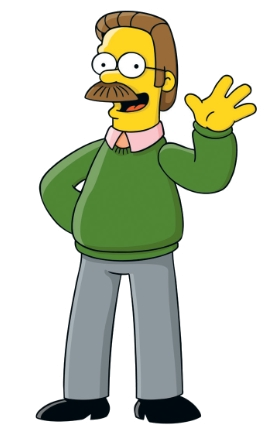 I definetly agree with you guys about ned flanders!!! Rven though I am not christain that character bothers me! I think its ridiculous to make religious people into these like crazy obsessed characters. Religious christains are not like that! ^lol. It's a propaganda against religious people in general. They want to make us religious people seem weird and obsessed and generally promote the idea that you're not cool if you're religious. Therefore don't be. All of these are really interesting, you guys! What do all of you do to overcome these stereotypes? Attempt to explain to people? Education programs? just do the opposite of what the stereotype is? I think the stereotype of Flanders is an interesting one. It seems that everyone has a common wariness for missionaries and people who try to convert others in general. It can be hard, sometimes, I think, to want to listen to others who want to convert us - I think all of generally reject the pushy people. Personally, if someone wants to talk to me about their belief system cool, we can have a discussion. But don't hand me pamphlets and say, convert or burn in hell!. I've luckily never had the experience of a jehovah's witness coming to my door (yet), but there IS a guy who takes my bus sometimes that I like to call the Jesus guy...he wears a placard around his neck with various Bible quotes and has such a deep voice i can never tell what he's saying. Anyway. Why do all of you think that people are so wary to listen to the people push their faith on others? I don't think Ned Flanders is propaganda against Christians. The Simpsons is completely based around stereotypes, look at Upo and Chief Wiggam. But it certainly has not helped the stereotype at all. I don't do things to purposely to oppose the stereotypes, but I just so happen to do so naturally haha. Everything I seem to do opposes them haha. I've had a lot of people say they are surprised to find out I am a Christian because I'm.... well, normal! Not like how we are portrayed in the media. I've got nothing against people spreading their beliefs to others. I think a lot of people do it wrong and push people away and not bring them closer, but I'm happy as to discuss beliefs with people, unless all you want to do is attack me and not use logic or be open minded to it. I think that I should be spreading my beliefs a lot more, but how to do it without making a fool of myself is tricky, its a delicate process. ^Unfortunately bro, there are some real nasty ones about Atheists. Even though I completely oppose how you see it, I still treat and view Atheists as normal people, because you guys don't deserve anything less than anyone else. What are some of those stereotypes? No,really,I'm really interested,cause I don't know any. I agree damian, I can't stand when people push other religions on me. And I have had some bad experiences with people trying to convert me. No joke! No,no,you're not ranting,I completely understand your point. And don't get me started on people tryin' to convert me. That's why I said I don't discuss religion. I mean,I'm one of the 4-5 percent (true fact!) of people (in my country) who consider themselves atheists. Ireland is one of the most 'religious countries' in the world. I am aware that I have a different belief system than most of you here. But I can't help it. I can't help what I believe in any more than you guys can. But that doesn't mean we can't be civil with one another. Unfortunately,that is not how it is when you 'look outside the window'. Okay,now I'm ranting! Aw thanks for understanding! When I really care about something I start to go on and and on and on lol. I actually did know that about Ireland!! So it must be truly hard for you!! I understand that, but its still frustrating you know? I hate that people always think I am weird. Why can't it just be normal?? lol. I cant definetly agree with your fear of the unknown theory!! That is actually an AMAZING way of explaining it!! Thanks!! I really understand some things better now. Like, in high school kids are so scared to speak their opinion or do anything thats not normal. For sure!! I think, in some ways, you have it the hardest. Most people except G-D. They might not do more then that but they believe in some sort of higher being. Same fear of the unknown apply to you. I feel like everyone knows someone who is religious, but not everyone knows an Atheist. A real atheist, not just someone who is having doubts. A true Atheist. People just dont even know that there is a real almost "religion" about atheism. I mean religion in the sense that there is almost some sort of unified view. Plus, it scares people that there are people in the world who don't believe. It scares me even!! But, I think a lot of people cant understand that idea so they are rude. That is not okay!! We all MUST be tolerant and work together! You're always welcome to post her Demian! Especially if you want to talk or challenge people, everything in the forum is open for discussion. Questions about why a certain religion does something? Go ahead, post it up! EVERYONE is welcome here! I've heard some bad stereotypes of atheists, but these come from really religious people - like CRAZY religious, not the good involved in the religion. You know, like Bible Belt religious. A lot of those people say that Atheists are going to hell (that's the most obvious one, I think), they're possessed, etc etc etc. It just goes on and on. Ya know Arie, I've been thinking about that for the past few days as well. People think I'm crazy as well, because I love God and I like going to church, involving myself with Christian Fellowship, and so on. In my personal opinion, it can be really easy not to believe in anything, but it's super hard to believe in God or Allah or GD or the Great Spirit, or WHATEVER. It's not malleable or visible or anything, and that's where all the theological discussion about faith comes in. You're right Demian, it probably is lack of understanding and tolerance. People naturally fear things that are different from they are! It's sad, really, because a lot of people don't even make an attempt to see things from another point of view, they just say I'M right and that's it. There is no other way. It's really sad to me, because I think the world would be a much better place if we could step outside all of our comfort zones and experience a different religion for a day with all of the stereotypes and stuff that comes with that religion. Like imagine if women did "be a muslim for a day" and they had to wear a headscarf. I bet that would cause some AMAZING discussion and a lot of understanding about Islam. At least, I would hope. This is a great point, Arie. It can be hard for religious people to be religious in some sense, like people think they are "crazy" but yeah, it definitely can be hard to not believe in ANYTHING, especially because people can be like "how is that even POSSIBLE? Don't you find life meaningless??" I dated a kid who was truly atheist once, and we started talking about meaning and everything and I've come to the conclusion that if I didn't believe in God my life would still have meaning and it wouldn't be worthless. I think that's definitely a stereotype against athiests - that they have nothing to live for if they don't believe in God! I think that's ridiculous - I personally create my own meaning for life and I think other people do the same. I didn't talk about that show in particular, i mean how most people act/think in general. I don't know any stereotypes against Atheists. If you're an Atheist/Agnostic then most people nowadays view you as cooler and more thinking human being than a Christian. Poeple always trying to convert me into.being an Atheist if that's possible I mean they're like "hey you're smart how can you believe in this" "hey you wear black, swear, listen to metal/rock, you dont go to church every sunday you dont fit the profile of a religious person"
Exactly the propaganda against religion/faith in general i talked about before. They (idek who i'm referring to lol) have somehow convinced the world that someone who is religious or believed in a superior being or something is automatically crazy or unthinking or uncool or close minded of some sorts. You know what? I've seen the majority of Chistians -i speak for my religion here- preaching LOVE. I've seen too many people who are "against" gay rights because their religion tells them it's a sin, to actually support it because they support love. If it's a sin, let God do whatever He thinks it's right in the afterlife, but in this life people are supposed to treat each other with respect and love. And my point is that i've seen most religious people preaching love, and then you have a small group of obsessed people talking about death to homosexuals and hell and all and ALL the media shows, ALL people like you talk about is that small group of people. No one shows the good religious people, all they show is the fanatics and they instantly assume that EVERYONE is like this. And that's another reason why people have to hate Religion so much. 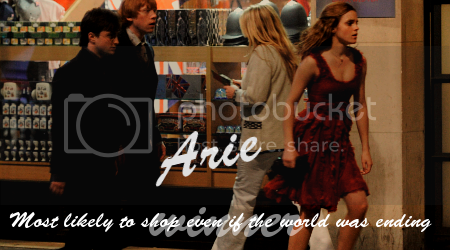 Edited by Provehito In Altum, 16 September 2011 - 01:57 PM. I have a lot of reading and catching up to do here, but Demo's post stuck out to me the most. (WE SHARE) ONE MIND, DEMIAN...well, just in regards to your general belief system. Lemme explain, I am not an Atheist. I suppose you can say I *was* Agnostic? I had a hard time believing that God was at work blah blah. Anywho, the really 'crazy' similarity between us is that we both have nearly the same views regarding being open-minded to people who are religiously observant and people who are gay and want relationships, or marriages, and who *may* practice or observe a religion anyhow. I will be first to admit that I always felt sweaty and nervous talking to someone who was religiously observant. I DON'T KNOW WHY. And I mean, this was before I started attending church (I just want the support I never had, and to know that I'm not alone in my struggles or issues). I think it must've been that I was struck with an insane amount of fear. Will this person try to get me to believe them? Will they approve of myself as a whole person, including the things that might not make me deserve to follow religion or attend a church? As far as approving of gays, lesbians, bisexuals, and transgenders (etc.) in marriage or religion, etc., I never had a problem or issue with it, because I *grew* up within that environment, so to speak. My sister is straight, but she has many, many, many gay (etc.) friends. I guess that's what happens when you spend your life in New York City . So, if her two guy friends came over, I NEVER understood how it could be "wrong" for two people to like/love each other (in and out of the scope of religion). My sister brought me up around that and I guess it just never produced stereotypes for me. I just accepted that these people are different, and so be it, but we can all still get along. NOW, as far as Atheism goes (DEMO, I STILL LOVE YOUUU hahahah), I remember as a young teenager, telling my mother that I had a crush on a guy who was an Atheist (dunno if he still is). What was her reply, "You're not going out with an Atheist". Stereotype? : Atheists will try to get Christians (my parents are [Roman] Catholic in thought) to stop believing in God. It was ridiculous, and that colored a lot of what I told her in terms of who I had a crush on (Hindus, Muslims, etc.) were not "good" for me either. I'm not giving my mother a bad-rap, she's got good intentions. I just really think a lot of the biasness, prejudice, and intolerance comes from the generation she grew up in (Hispanic American...think 1950's onward). On the same token, I seriously had it out with my dad over the Bible's forbidding (or not forbidding) homosexuality. At this point, though, it's all a moot point in my household. And I'm OK with every issue we disagree on. I just found a church that I can plant myself in and I feel comfortable in and embraced. I'm 20 years old. I'm sure that someone with narrower views can say, "Oh, she's just one of those Born-Again-Christians." I am nothing of the sort. I might've turned away from God at 14, but I never refused to stop believing in Him fully (might've not had faith then, but that's a different story). So, to categorize me is to lessen my experience. Just because I found God somewhere between getting hit by a car while cycling, recovering, and coming back home on a bus from Boston (and even then I still wasn't completely sure) doesn't mean I don't have an enormous heart, a "calling" (purpose, if you like that word better), and hope. I could have decided to worship a shoe, for crying out loud, and called it God. But, if it gave me faith, does it make a difference what I am called in the end, if I am a Christian? Thank you! Yeah I know exactly what you mean, and it is so hard for me to understand atheists because I am religious. And, I know how hard it is for me sometimes, so I can only imagine how hard it is for someone like Damien. Especially in a very religious place. I agree, your life would still have meaning. Because of all you friends, family, ect. But, for me personally, I think something would be missing if I didn't believe in some higher power. You know? Just because I so strongly believe, I couldn't imagine not! I agree too. I think than any one who is so dedicated to G-D just can't understand someone who isn't. That is something we all have to work on! Now I understand atheists better because of Damien and from now on I will have a very different attitude about them! hahaha. People shouldn't judge us because of the "profile". They should listen to what we say! they should listen to me talk about my beliefs not compare me to other religious people they know! I know, like am I really that uncool? Idk, I think I can be cool!!! lol I listen to regular music and wear normal clothes... I think! !